A spectacular open floor plan makes this Dove Mountain home a perfect place for intimate gatherings. A window wall in the great room and the covered patio that surrounds the back of the home invite you to take advantage of the legendary Sonoran Desert climate. This warm home boasts a spacious and comfortable master suite. Pricing, plans, specifications, and other items are subject to change without notice. Images are the artist’s conception only. 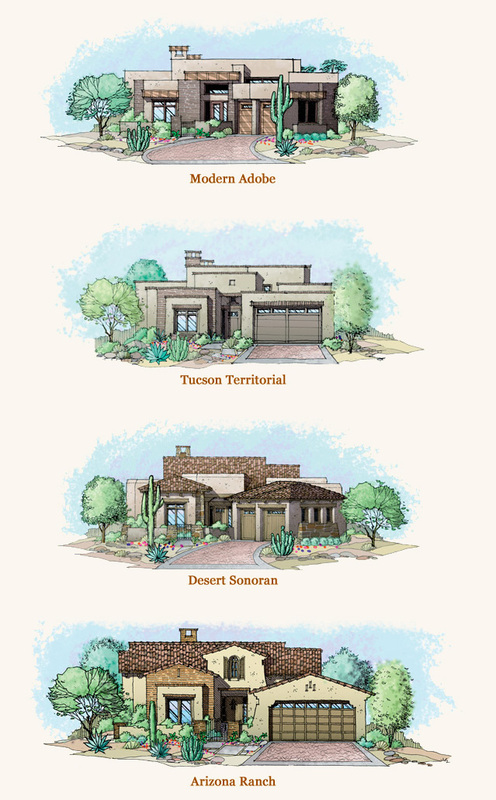 See Sales Executive for details on this floor plan or on any of our custom Dove Mountain homes for sale.